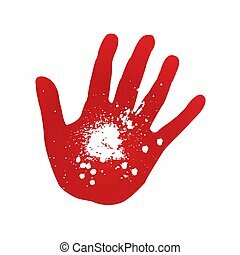 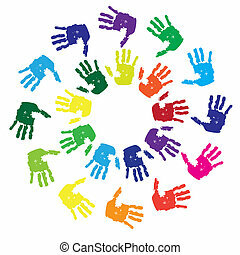 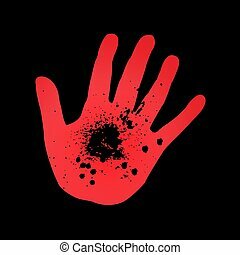 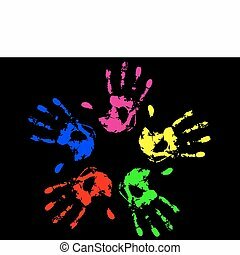 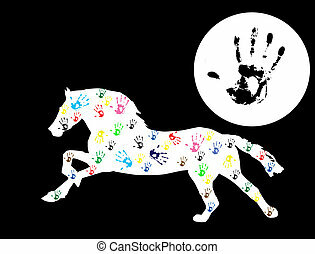 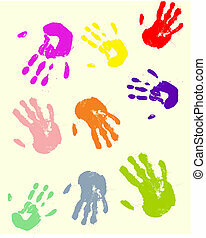 Childrens colourful hand prints isolated on white. 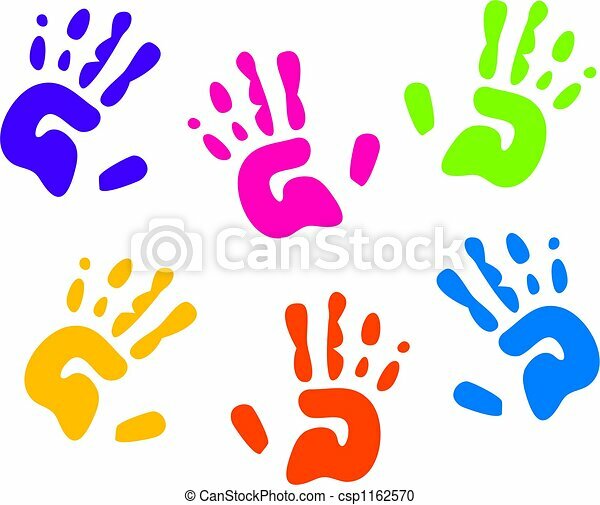 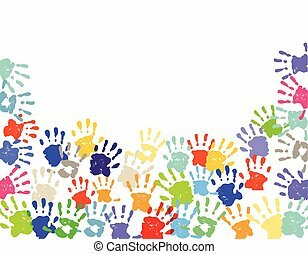 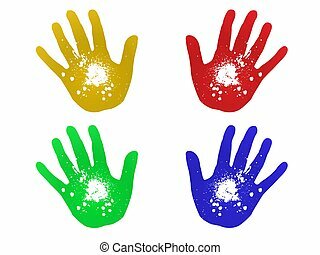 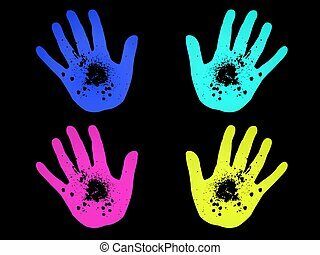 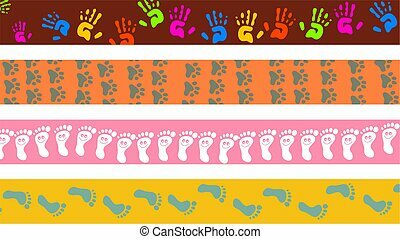 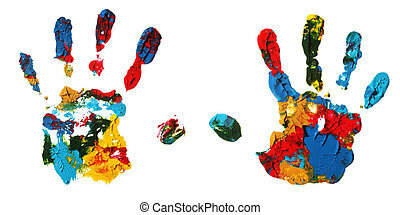 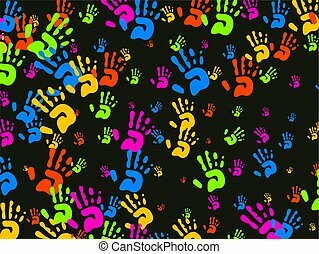 Four colourful childlike hand prints set out neatly in a row isolated against a white background. 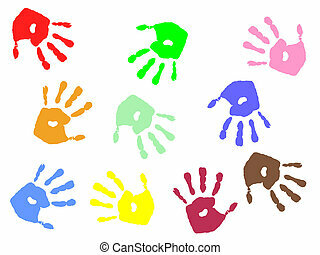 A set of colorful kids hand prints. 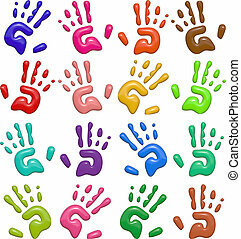 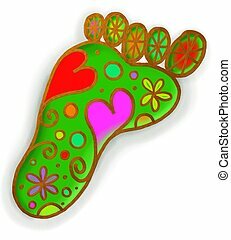 These images have been designed in a shiny bump style resembling plastic which give a 3d look. 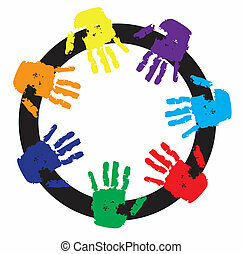 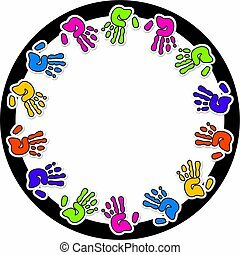 Circular photo border design surrounded by colourful hand prints. 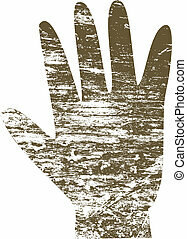 A human hand print with grunge paint effects. 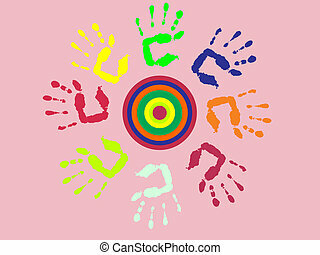 A cute blue hand print with polka dots and emoticon faces. 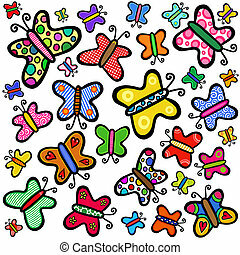 Hand drawn cute background pattern with doodle butterflies. 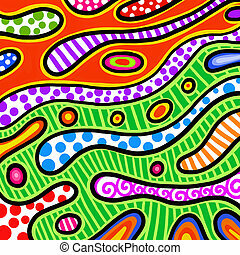 Hand drawn cute background pattern with abstract doodle shapes. 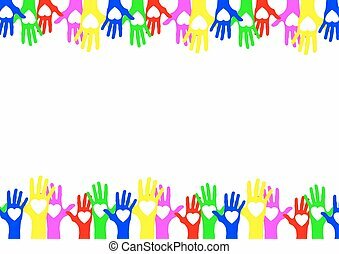 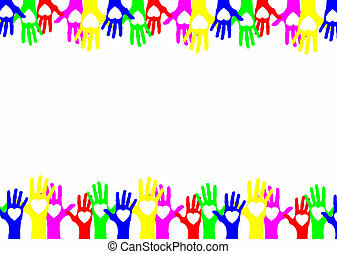 Decorative childs hand print wallpaper background design. 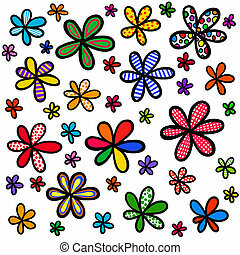 Hand drawn cute background pattern with pretty doodle flowers. 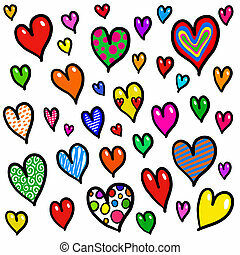 Hand drawn cute background pattern with pretty doodle hearts. 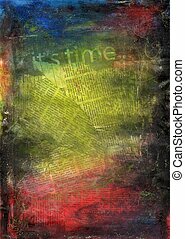 Hand painted mixed media collage background texture made with newspaper, paint and glitter.